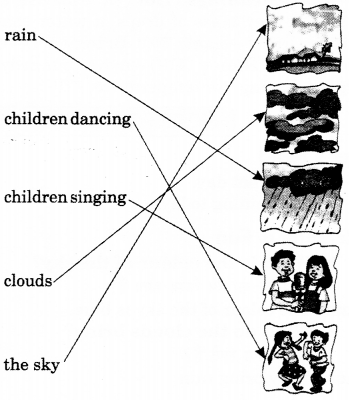 NCERT Solutions for Class 1 English Chapter 18 Clouds are part of NCERT Solutions for Class 1 English. Here we have given NCERT Solutions for Class 1 English Chapter 18 Clouds. This poem describes about a hot day. The sky is looking blue. Everybody is waiting for rain. Then there are some clouds seen in the sky and it starts raining. So children become very happy and they sing and dance. A little cloud comes looking for you. It is a hot day. आसमान का रंग कैसा होता है? The colour of the sky is blue. What do the clouds bring? What is the colour of the clouds that bring us rain? वर्षा लाने वाले बादलों का रंग कैसा होता है? The colour of the clouds that bring rain is a grey or black. 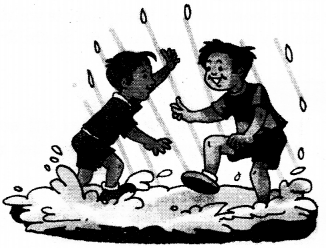 Do you like to sing and dance in the rain? क्या तुम बरसात में नाचना और गाना पसंद करते हो? Yes, I like to sing and dance in the rain. What keeps you dry in the rain? वर्षा में तुम्हें कौन-सी चीज़ सूखा रखती है? I like to go out when it rains. क्या तुम्हें बरसाती ताल-तलैये पसंद हैं? No, I don’t like puddles. The other seasons in India are hot and cold. Describe in your language which season you like the best. Now can you say this in English? भारत की दूसरी ऋतुएँ गर्म और ठंडी होती हैं। जो ऋतु तुम्हें सबसे अधिक पसंद हो, उसका वर्णन अपने शब्दों में करो। क्या अब तुम इसे अंग्रेज़ी में बोल सकते हो? 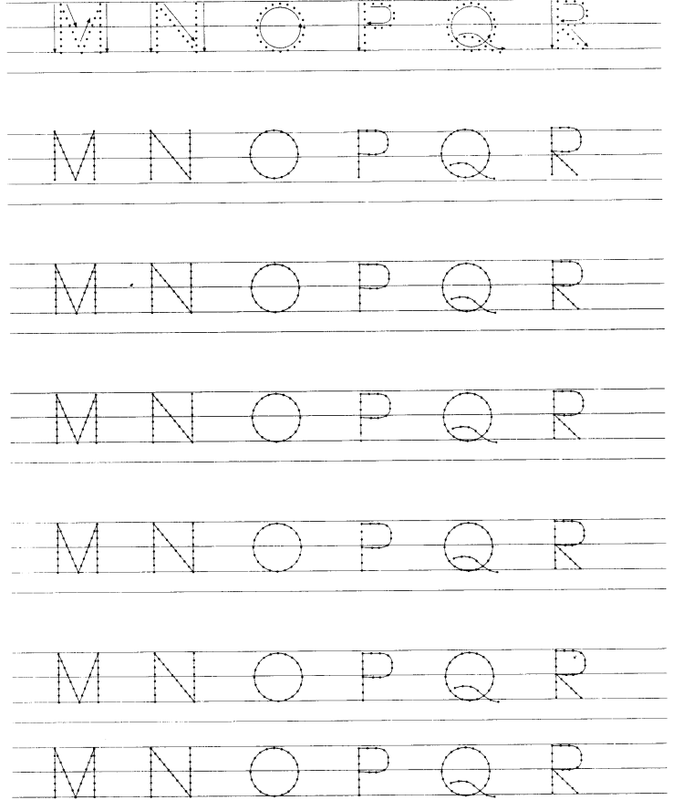 I can read my name. 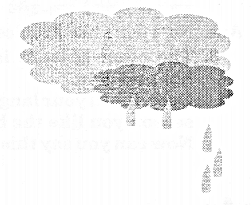 We hope the NCERT Solutions for Class 1 English Chapter 18 Clouds will help you. If you have any query regarding NCERT Solutions for Class 1 English Chapter 18 Clouds, drop a comment below and we will get back to you at the earliest.